Apple's new graphics chip development facility in Central Florida features the Intrinsity team that was acquired years ago, as well as newly recruited employees from AMD, according to a new report. 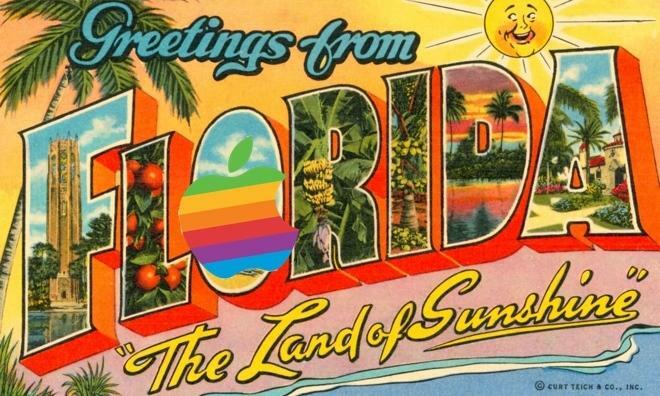 Details on Apple's so-called "GPU Design Center" in Orlando, Fla., were revealed on Friday by MacRumors, which was told that Apple targeted the location because many of AMD's 3D graphics patents were issued from the chipmaker's Florida-based offices. As a result, Apple reportedly has a temporary office space in the area, and has been actively recruiting AMD employees. They are said to be working with the team from Intrinsity, a privately owned chip design firm that Apple acquired to further its own custom silicon development in 2010. That acquisition, along with the purchase of PA Semi in 2008, set the stage for Apple to begin designing its own custom A-series processors for the iPhone, iPad, iPod touch and Apple TV. AppleInsider was first to report in April that Apple was planning to design, build and test custom chips for future devices out of a new office in Orlando. The company has been actively recruiting candidates for its new Central Florida location throughout 2013. Apple's Orlando offices are home to at least 12 ex-AMD employees who are believed to be working on next-generation mobile graphics processors for the company's ongoing custom in-house mobile chip design. While the current employees are housed in a temporary location, sources told MacRumors that permanent Apple facilities in the region are in the works. Apple also has operations just south of Orlando in Melbourne, Fla., thanks to its acquisition of fingerprint sensor maker AuthenTec for $356 million last year. The iPhone maker apparently does not have plans to close those facilities, as it continues to advertise for positions available at its "Melbourne Design Center." Rumors have suggested that AuthenTec's Florida-developed technology could appear in Apple's next-generation handset, frequently referred to as the "iPhone 5S." It's expected that the fingerprint sensor will be embedded under the home button in this year's iPhone, allowing users to bypass password entry, and potentially opening up new secure functionality such as e-wallet transactions.